Published on April 26, 2009 in travel. 0 Comments Tags: Census, Ellis Island, ferry, map, New York, NYC, Taiwan, Taiwanese. Taiwanese in America. 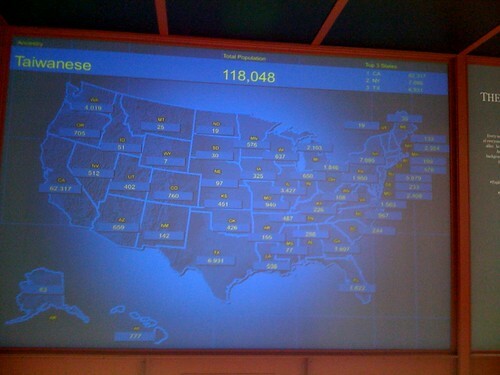 Ellis Island Diversity Map Exhibit, originally uploaded by !!! :: jozjozjoz :: !!!. Uploaded by !!! :: jozjozjoz :: !!! on 26 Apr 09, 8.49AM PDT. Time to be a tourist! Published on April 26, 2009 in travel. 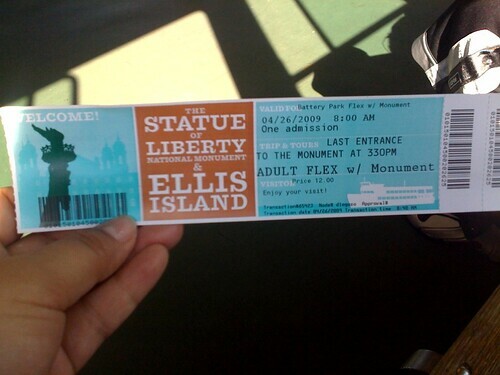 0 Comments Tags: Ellis Island, ferry, New York, NYC, Statue of Liberty, ticket. Time to be a tourist!, originally uploaded by !!! :: jozjozjoz :: !!!. On the ferry to the Statue of Liberty and Ellis Island. Uploaded by !!! :: jozjozjoz :: !!! on 26 Apr 09, 6.14AM PDT. The jozjozjoz.com archives for the ferry tag.